There is an entire generation who came of age after MillerCoors had already laid Zima to rest in 2008. They’ll never know its specific malt-beverage sweetness, nor other ’90s hallmarks like brown lip liner or The Rachel. How like, totally tragic for them, right? MillerCoors temporarily reintroduced Zima last year and was overwhelmed by pent-up demand for it; the limited supply ran out faster than the company anticipated. In response, Zima is back again this spring with (hopefully) enough inventory to meet demand. Well, stock up again, as the citrus-flavored clear booze water is back on shelves as I’m typing this. 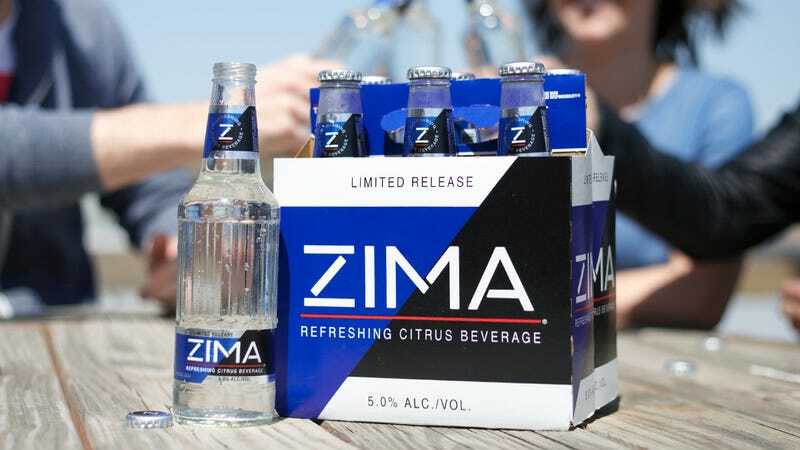 I personally was too young to ride the Zima wave the first time around, so maybe it’s that lack of nostalgia that’s making me scratch my head over Zima’s rabid fandom. To me, Zima seems like a precursor to the hard seltzers on the market now, and the only occasion on which I’d drink it would probably be a Gilmore Girls watch party, as Luke and Lorelai once had to toast with it to celebrate their engagement at Doose’s Market. But hey, to each their own. My indifference just means more Zima for you.